Northampton International Raceway is the UK’s longest serving short oval with over 50 years of history behind it, and all the greats of the sport’s history have seen action here at one of the spiritual homes of British oval racing. Located in the Northamptonshire countryside near the village of Brafield-on-the-Green, the raceway’s 396 metre now SHALE oval is ideal for Stock Car racing and some of the best BriSCA F1 and F2 meetings seen in recent years have been at Northampton. 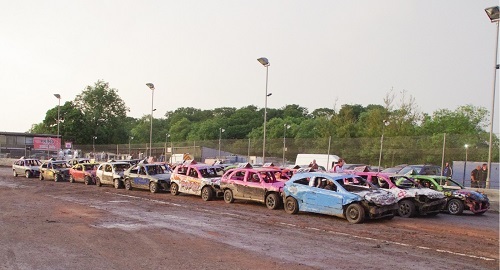 The track is also excellent for Banger racing, with several of the sport’s biggest teams and drivers making regular appearances throughout its long history. 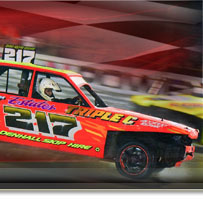 Today the venue is host for the annual BriSCA European Championships and World Masters. The biggest National Banger event is the annual Unlimited National Banger World Series event held every Easter Monday, with a multitude of other events in between. You will find all the facilities to make your day complete including a licensed bar, freshly-cooked food, track shop, ample free parking and great views of the entire circuit. Northampton International Raceway (Northampton) is located off the A428 between the villages of Brafield-on-the-Green and Horton, and is easily accessed from junction 15 of the M1. The raceway offers excellent viewing and catering facilities and other trade stands are available. Whether it’s a Saturday night or a Sunday afternoon, there is always first class action guaranteed at this venue. Drivers should check availability by ringing 07736 805 537 to avoid disappointment.